I started wearing dresses in my forties. I too busy to pay any attention to what I was wearing before that! Busy with what, that I don’t know. It is not that I pay a lot of attention to what I wear even now! But when I entered my forties I decided I am going to do a lot of new things and wearing dresses was one of them! It was a beautiful evening in Bangkok. 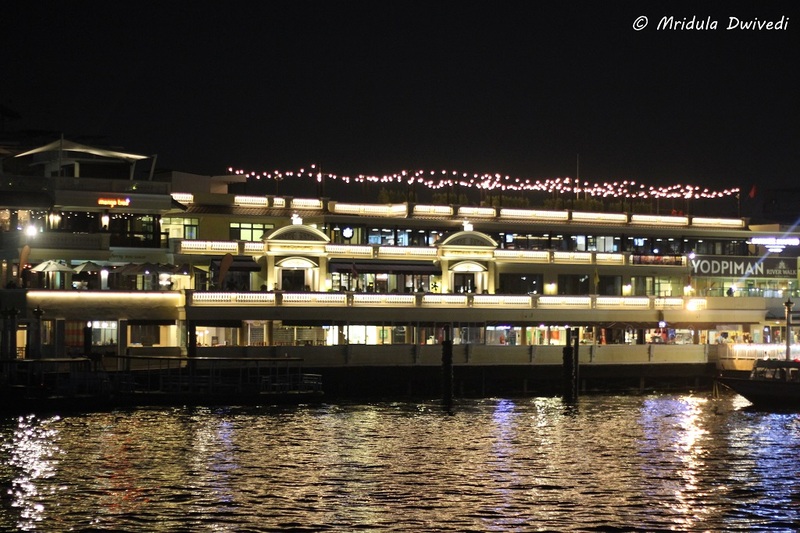 We were going on a dinner cruise on the Chao Phraya River. Finding the driver in our crowded hotel lobby was a task. Finding all my team members was another task. 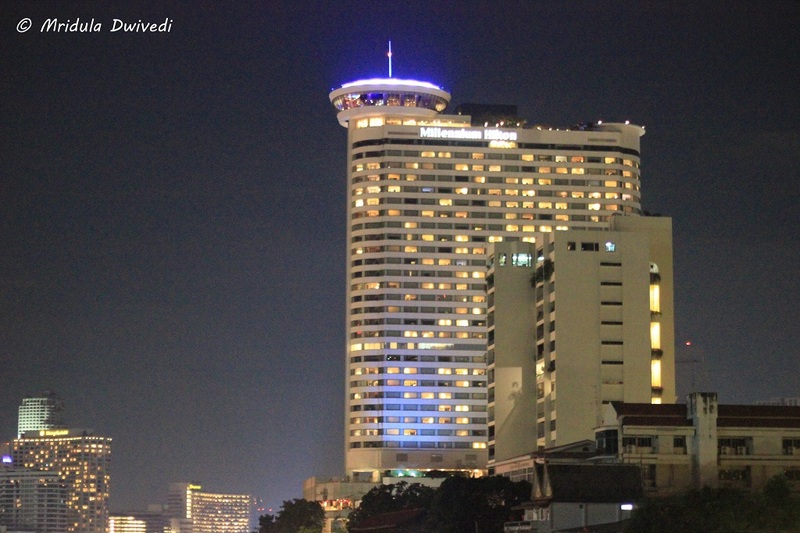 We were staying at Eastin Makkasan Bangkok which is a large hotel, very popular with Indians and foreigners! The hotel lobby is at a higher level that the car park lobby. That would lead to further confusion. Some of us would wait at the hotel lobby while others at the car park lobby! We, a friend and I, were in the lift, going down from the hotel lobby to car park lobby. Both of were wearing evening dresses. She looked pretty in red. There was a hotel employee in the lift, a bell boy I presume. My friend and I both were lamenting the fact that we have tummies which made wearing the experience of dress a little less enjoyable. I caught the reflection of the bellboy in the lift door. He was highly amused and as far as I could read it, his expressions said, “Don’t worry, you both look good!” I am thankful to him for his silent addition to our conversation! The cruise dinner was beautiful. I love watching the Bangkok City from the boat. 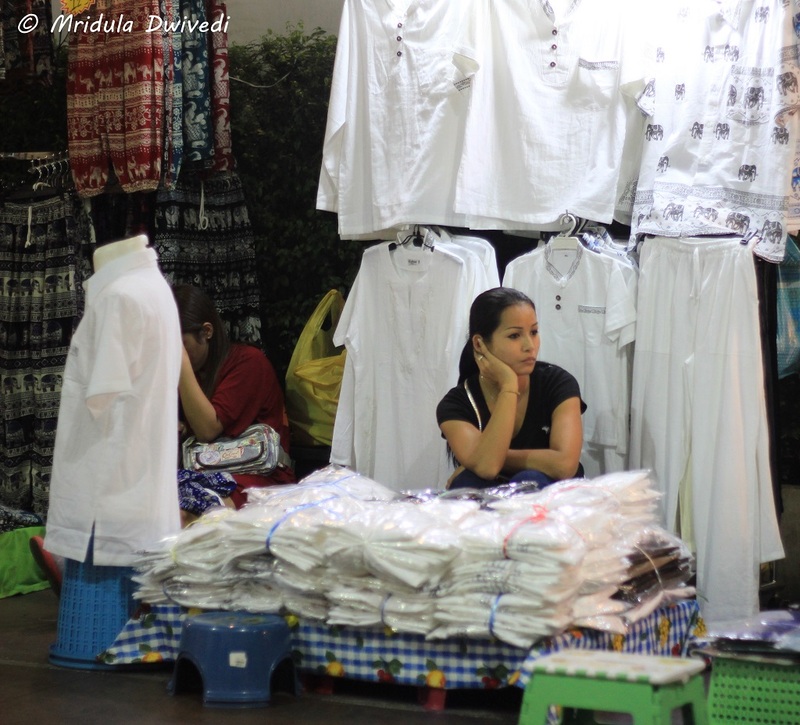 I was shopping alone in the Indra Square, it was at walking distance from our hotel. I love shopping in Bangkok. I am someone who is not into brands! But in Bangkok you do get a lot of casual clothes at a throwaway price. Of course, there are high end malls in too, but they are not my scene. 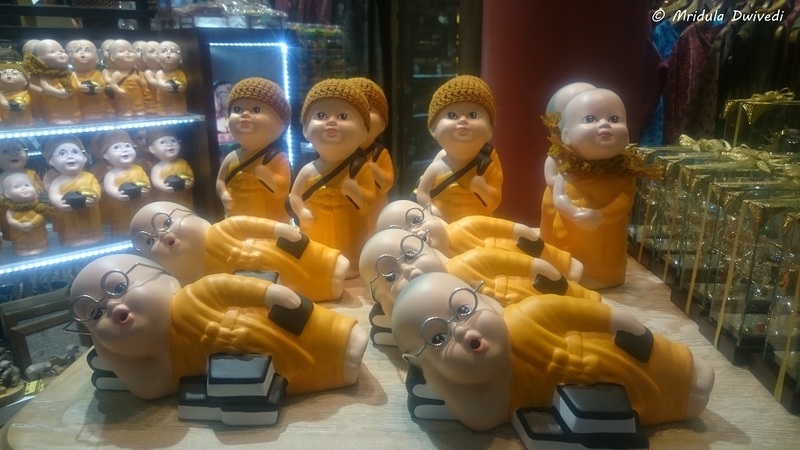 Shopping in Bangkok is Fun! I was looking at a denim dress which I liked. I asked the shopkeeper, “Don’t you have one in A shape? With the elastic at the waste, I have a lot of tummy, I am not sure it would look good on me!” She laughed and said she too had a lot of tummy (which was a lie) and the dress would look good on me! After all she was wearing one like it too! I ended up buying the dress. In spite of not working since May 2015, my fitness routine has only marginally improved! So, I am sure the tummy is going to be a companion for quite some time! But then, I am also not giving up on wearing dresses! PS. 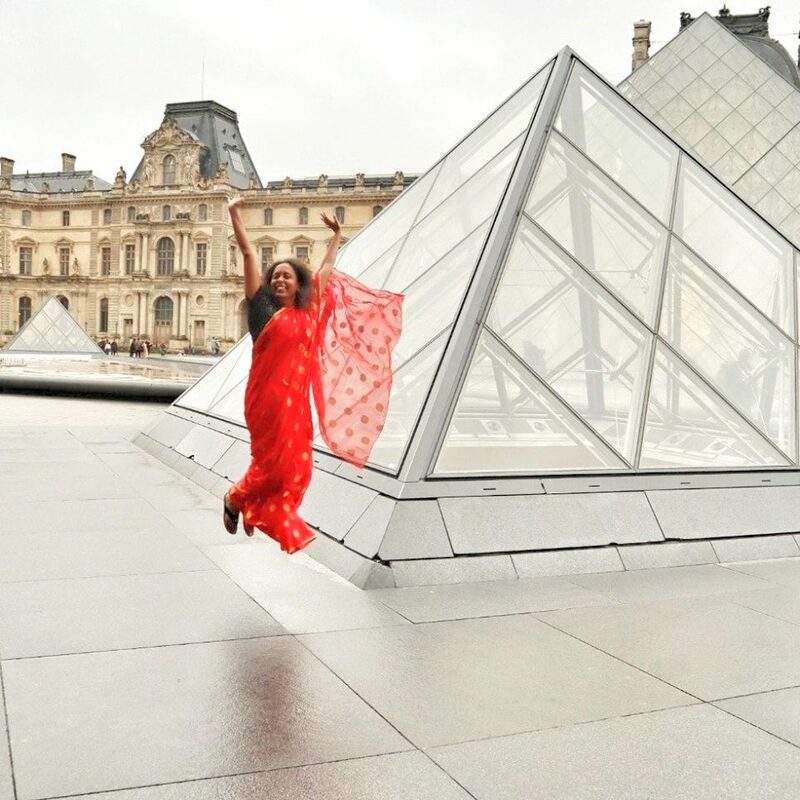 My 7th trip to Thailand was in association with Byond Travel. “MALAYSIA’S rainforests are amongst the oldest in the world. They offer a chance to see wildlife that is unique and enchanting. A Klias Peninsula wetlands river cruise is a popular stop for tourists interested in wildlife, just half a day’s trip from Kota Kinabalu in Malaysian Borneo.” Do read my article Klias Peninsula wetlands river cruise: An amazing wildlife experience on Travel Write Asia. 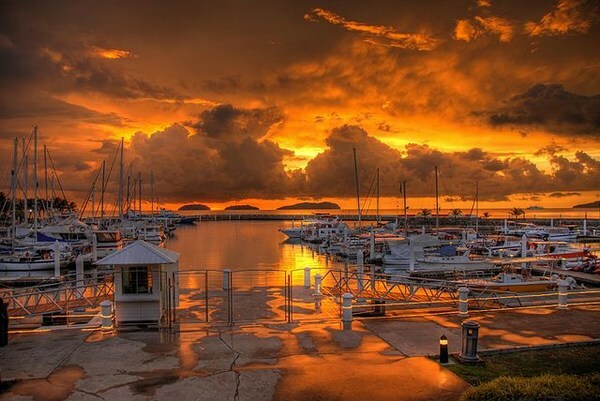 Sutera Harbour Sunset, Kota Kinabalu. Pic: Paxse, Creative Commons.